After 25 years of service to the Minnesota Council on Foundations (MCF), including 12 years as President, Bill King has announced that he will retire as of June 30, 2013. In addition to his role as president of MCF, Bill has been an active leader in national and international organizations supporting the growth of philanthropy and civil society. He currently serves on the board of WINGS (Worldwide Initiatives for Grantmaker Support) based in Sao Paulo, Brazil, is a past chair of the Forum of Regional Associations of Grantmakers, and represented regional philanthropy on the board of the Council on Foundations. He has also been active in Minnesota’s nonprofit community throughout his career serving on and chairing multiple boards. Under his direction, MCF was recognized as a national leader in work on public trust and accountability, and on diversity, equity and inclusion. Throughout his career Bill worked to establish MCF as a network for funders, a resource for effective grantmaking and grantseeking, and a voice for philanthropy, representing the sector to key audiences and raising understanding of the role and impact of philanthropy in Minnesota. Read more about this announcement at MCF.org. 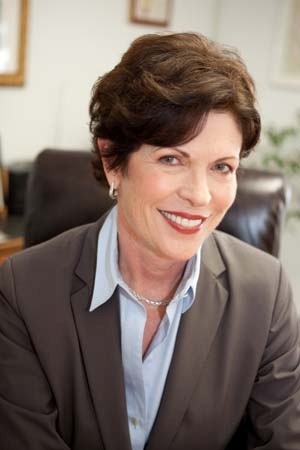 The Board of Directors of Southern California Grantmakers (SCG) has announced the selection of Christine Essel as the organization’s next President starting February 1, 2013. Christine recently served as Chief Executive Officer for the Community Redevelopment Agency of the City of Los Angeles and its successor agency CRA/LA. Her appointment is effective February 1, 2013. As Chief Executive Officer for CRA/LA and the Community Redevelopment Agency for the City of Los Angeles, Christine has provided support and incentives to attract private investment to improve the quality of life and provide economic development opportunities in Los Angeles’ most challenged communities. Prior to her work at CRA/LA, Christine had an impressive, 30-year career at Paramount Pictures, starting in finance and going on to build a government and community relations unit including legislative affairs, employee volunteer programs, corporate responsibility, ethics, fundraising and leadership of the studio’s philanthropic efforts. Christine’s civic involvement activities include a run for a seat on the Los Angeles City Council and membership on the Boards/Commissions of the Grand Avenue Project, Los Angeles Development Fund, Film LA, Central City Association, Los Angeles World Airports, and the California Workforce Investment Board. With the fiscal cliff just behind us, tax reform lies ahead. Regional associations are working to protect the charitable deduction during Congress’s upcoming negotiations. Florida Philanthropic Network- Capping the Charitable Deduction Will Hurt Floridians & The Charitable Deduction & Tax Reform: How Should Philanthropy Respond? How is your regional association engaging lawmakers to protect the charitable deduction? Let us know in the comments. Nonprofit organizations and foundations hold great promise for developing new ideas to overcome old problems and for helping people the world over to live healthier, happier lives. But for all that promise, problems are still getting worse. In the face of ever growing need, funders and nonprofits need to use every tool at their disposal to maximize impact. Doing good isn’t enough. We need to do ever better. Evaluation is an often undervalued, overlooked tool for improving outcomes and maximizing impact. It is seen as a nice to have, not as a need to have. In State of Evaluation 2012 the data show that more than two-thirds of organizations do not have the promising capacities and behaviors in place to meaningfully engage in evaluation. And 47% of organizations with annual budgets greater than $5 million did not have at least one full-time employee dedicated to evaluation. In a sector where results matter, it is incumbent upon us all to evaluate, learn, and improve. 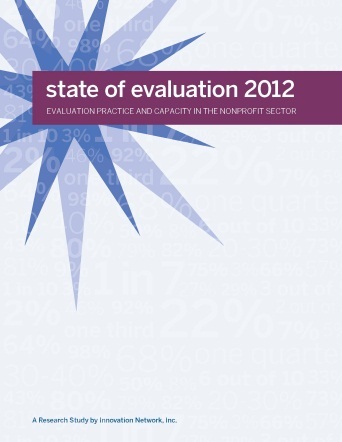 For more information on the State of Evaluation Project (and to download the report), visit www.stateofevaluation.org.